Be honest, we all love celebrity relationships. They are always fully of juicy drama and it’s fun to follow their status online to watch as the couples evolve over time. We see the very beginnings of their courtships where it’s all just rumors and speculations; we watch as they announce what everyone already knew once they announce they’re together; we swoon as engagements, weddings, and children follow. These celebrity couples are our guilty pleasure and no one should be ashamed to admit it. The only thing about these celeb duos is that they often end just as quickly as they begin and it seems like we are mourning their end just moments after we are celebrating their beginnings. Probably the only good thing to come form famous people breaking up is the aftermath. That’s right; we’re talking about the vicious tweets calling out their former flames. These days, celebs cannot just simply break up; no, they must post mean things on social media about their exes. And we are there waiting for these scathing comments. 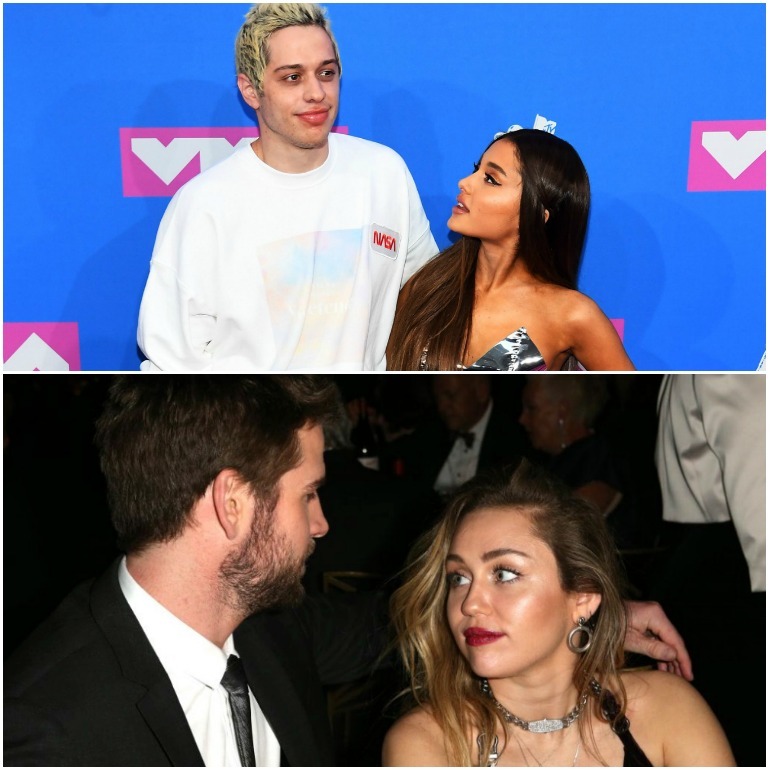 Ariana Grande has had some high-profile relationships with late rapper Mac Miller and SNL funnyman Pete Davidson, but the pop star has dated other people while in the spotlight. Two other famous men that she has dated are Australian YouTube star Jai Brooks and British singer Nathan Sykes. In fact, the former accused Ari of cheating on him with the latter and they had a mini Twitter feud over it. Brooks confirmed that Grande had been seeing Sykes behind his back, but she wasn’t having any of it. Grande went on to say that Jai had threatened to spread rumors about her if she didn’t get back together with him. Turns out, Sykes was after she and Brooks broke up. 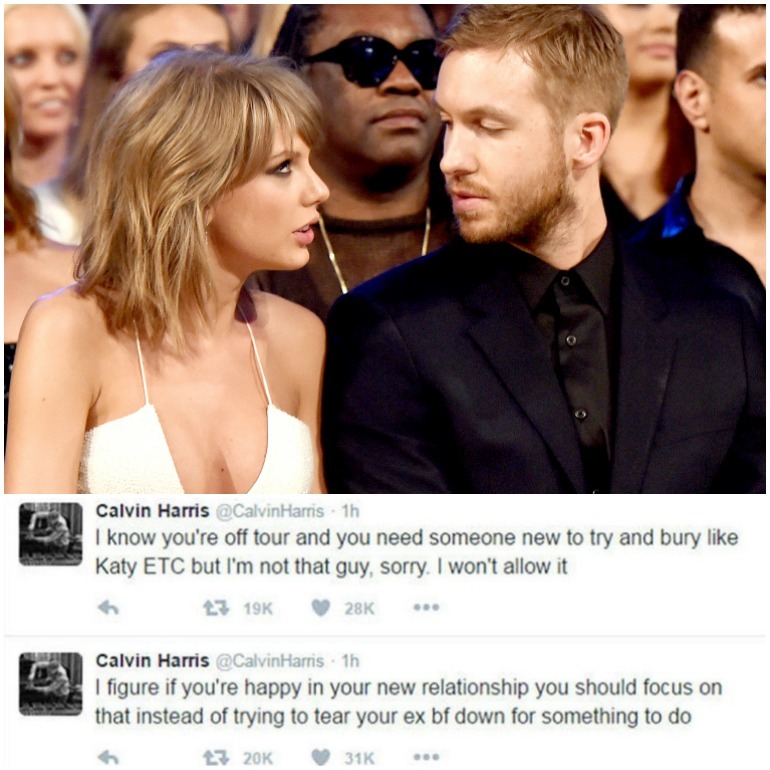 People started to think back in 2015 and 2016 that perhaps Scottish DJ Calvin Harris and pop princess Taylor Swift were the real deal and that they were built to last. Unfortunately, like all good things, this relationship, too, came to an end – and of course there was a Twitter war shortly after. The two were allegedly at odds over who wrote Harris’ hit song This is What You Came For. After the breakup, Swift claimed she actually co-wrote the song, but Harris clapped back saying that she was just using this as an excuse to try and make him look back. He even went as far as to make a jab at T-Swift’s feud with Katy Perry. Robert may be the youngest Kardashian sibling, but he still makes sure to keep his name in the media – just like his sisters. Aside from his time on Keeping up with the Kardashians, Rob has also had his own show with his ex-fiance Blac Chyna called Rob and Chyna. What has probably kept him most in the spotlight, however, is his tumultuous relationship. The two had some serious drama involving their breakup and it seemed like their favorite thing to do for a while was call each other out on social media. 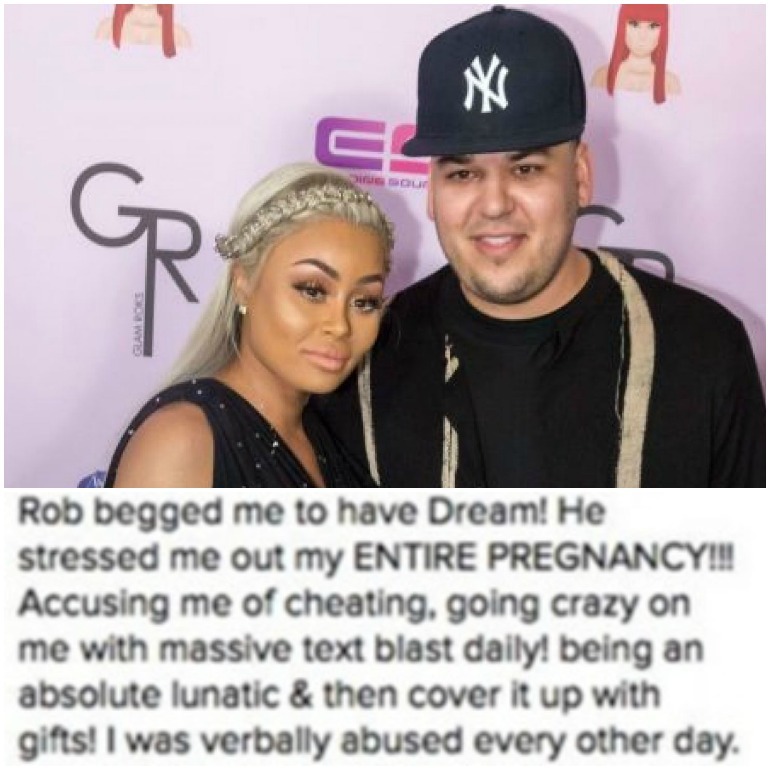 Rob posted explicits photos of her; Chyna detailed their split and published multiple messages talking smack about him and his life. There was even a restraining order involved. Let’s be honest, does anyone really remember Kanye West’s love life before Kim K? That being said, the rapper did have other relationships before he married the love of his life. Two years before Kim, Ye had been dating model Amber Rose for about four years. 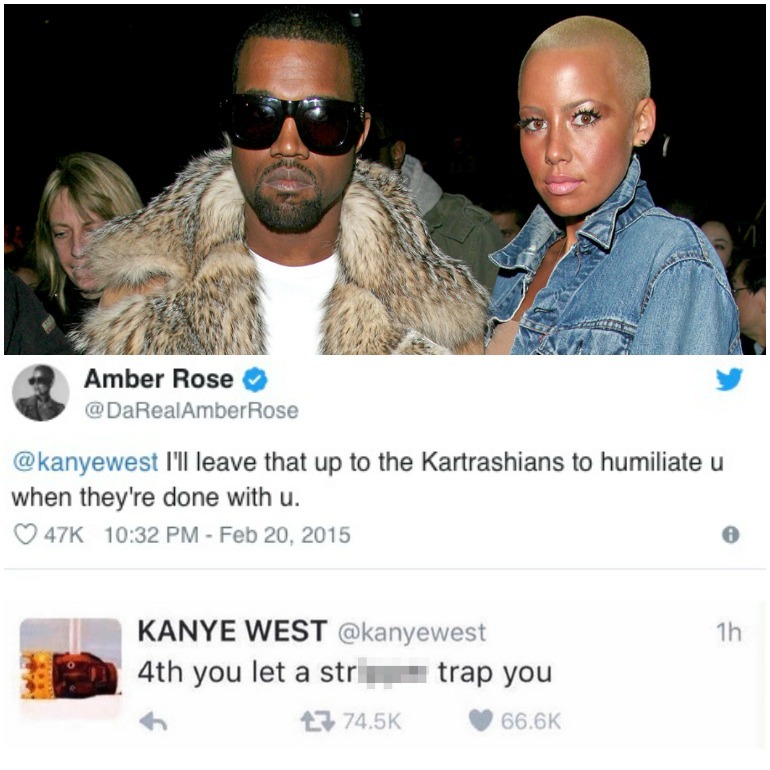 Clearly when Kanye moved on with a Kardashian, Amber did not take kindly to this. She did not have nice things to say about her or her family on Twitter, and she also mentioned some pretty interesting things about what Yeezy liked in the bedroom. Kanye also tweeted that Wiz Khalifa – Rose’s boyfriend after him – was dating a woman who undressed for a living as a nab at his ex. Finding out the person you trust most isn’t loyal and actually betrayed you can be heartbreaking, but sometimes couples are able to get past infidelity and move on. That’s what Iggy Azalea and NBA player Nick Young did after a video was released of him admitting to cheating. As to be expected, their makeup did not last very long, and just three months later, they broke up. After this, Azalea announced in a Tweet the reason behind the breakup was that she caught him in their home with another woman. Noah Cyrus may not be the most famous of her family – you may know her sister, Miley – but that doesn’t mean she isn’t also extraordinary talented. The singer started a summer romance with rapper Lil Xan in 2018, but it ended almost as quickly as it started. 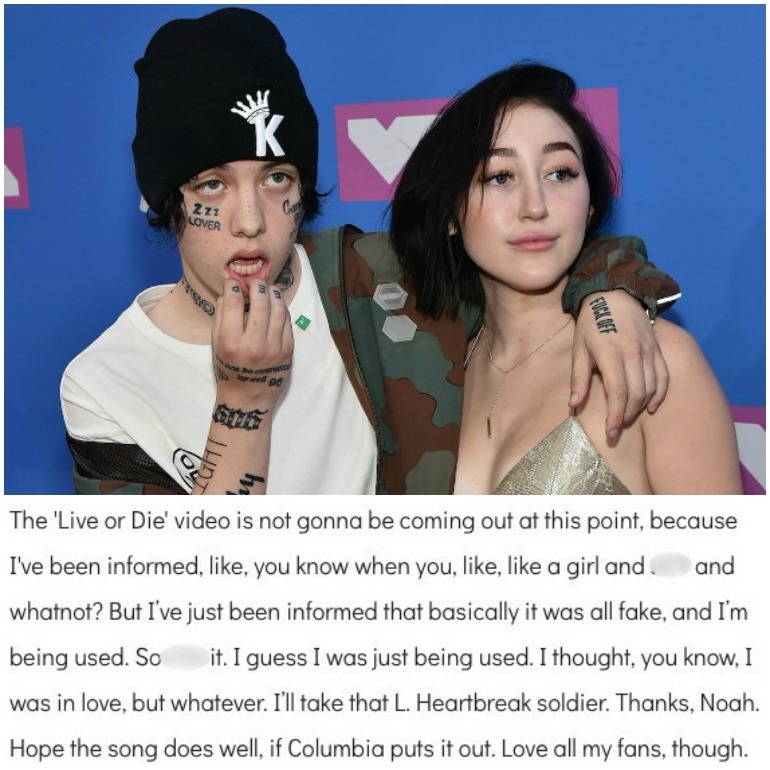 Both artists took to social media and accused the other of cheating: first Lil Xan on Facebook Live and then Noah responded on Snapchat. It seems like celebs just love airing their dirty laundry instead of keeping things in their personal lives private. 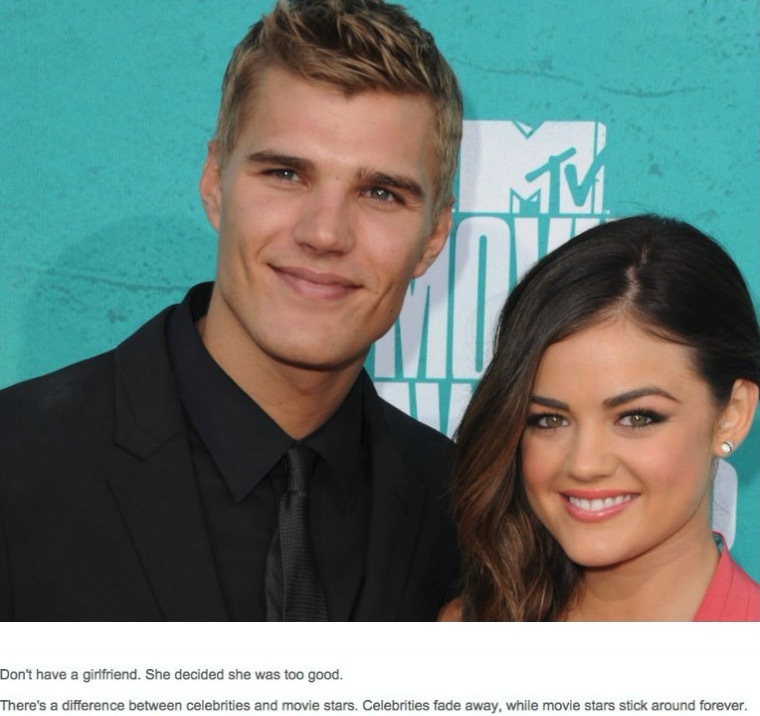 While Chris Zylka may have been engaged twice – one of these times to hotel heiress Paris Hilton – he also dated actress Lucy Hale for a year in 2012. It seemed as if the two were in love and that all was going well, but then it suddenly ended. 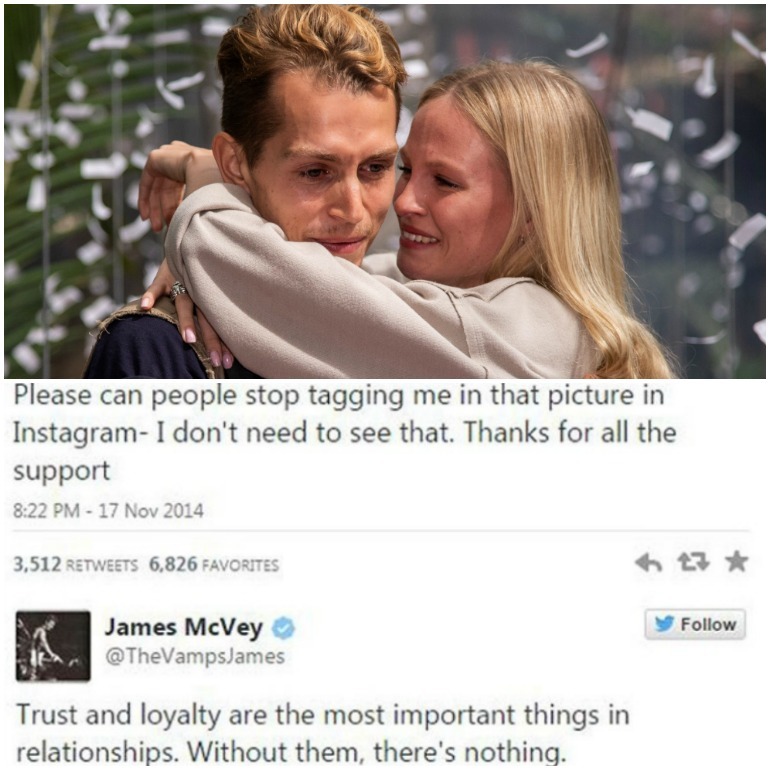 James McVey is the guitarist for British boy band The Vamps and he sure loves taking to Twitter as his 1.77 million followers wait in anticipation to see what he has to say next. Back in 2014, however, he was actually making a plea to his fans to stop sending him photos of his girlfriend – model Kirstie Brittain – kissing another man. He said trust and loyalty are important in any relationship and once two people lose that, they have nothing. Apparently the couple made up, as they are now engaged. 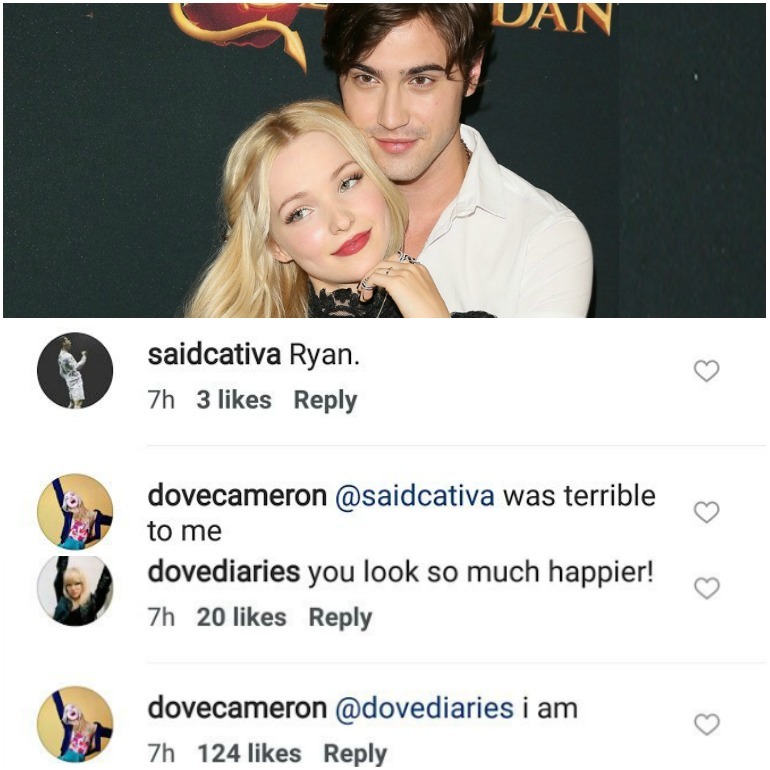 Fans of Disney Channel stars Dove Cameron and Ryan McCarten were stunned when the two broke off their engagement after four years of dating. While people were searching for answers, many followers noticed Dove’s responses that were vague, but also gave everything away. When she posted a photo of her and her new bae – Decedents co-star, Thomas Doherty – someone asked about Ryan. She simply responded that he was terrible to her. Then when someone commented saying she looked much happier, she replied that she was. Before all the drama with Blac Chyna, there was even more between Rob Kardashian and singer Rita Ora. For about 30 minutes, many of his Tweets that were completely bashing his now ex were live for everyone to see. Rob went on and on saying that she had cheated on him with around 20 different men. Though these claims are unsubstantiated, Rita did not help matters by rather explicitly stating that Rob wasn’t good enough for her, so she had to search elsewhere. One Direction member turned solo artist Zayn Malik is best known for his relationship with model Gigi Hadid, but he’s actually the subject of a hate song about a previous relationship. Perhaps you’ve heard Shout Out to My Ex by Little Mix? The song is about Perrie Edwards’ split with Malik. 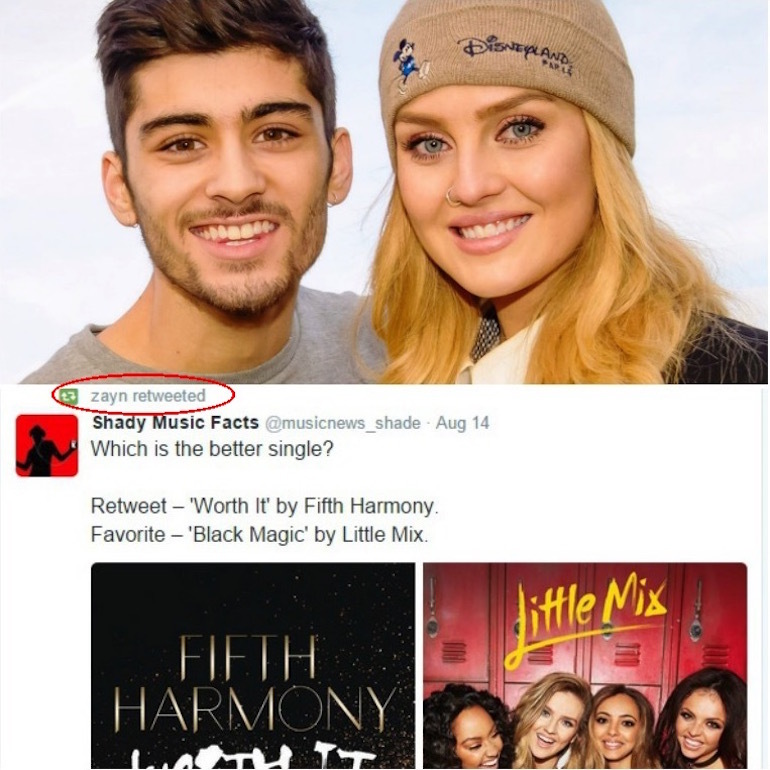 Zayn subtly shaded Edwards when he tweeted his feelings about the breakup in the harshest way: saying Fifth Harmony was better than Little Mix – his ex’s girl group. At least Edwards made a hit song about her feelings. While Justin Bieber has swiftly moved on from his longtime love Selena Gomez, we all remember the times he had with her – long before he became interested in his current wife, Hailey Baldwin. The pair met back in 2010 and had an on again off again relationship all the way up until their final breakup in 2018. When Justin was dating model Sofia Richie back in 2016, he was constantly harassed online by Jelena supporters. Bieber responding saying he would make his account private if the attacks didn’t stop. Gomez stepped in to defend his fans and tell him that if he can’t handle the hate, then maybe he shouldn’t post so many pics with his girlfriend, saying that stuff should be private. Justin did not take kindly to her comment. For those who don’t follow mainstream media, let us tell you: Miley Cyrus and Liam Hemsworth secretly married right before Christmas 2018. The two are as in love as ever, but they had several bumps along to way to get to where they are now. After their wedding, a tweet from 2013 resurfaced of Miley complaining about how she wants to see the new Hunger Games film, but doesn’t want to see her ex on the big screen. Those were dark times when they were broken up for a bit. 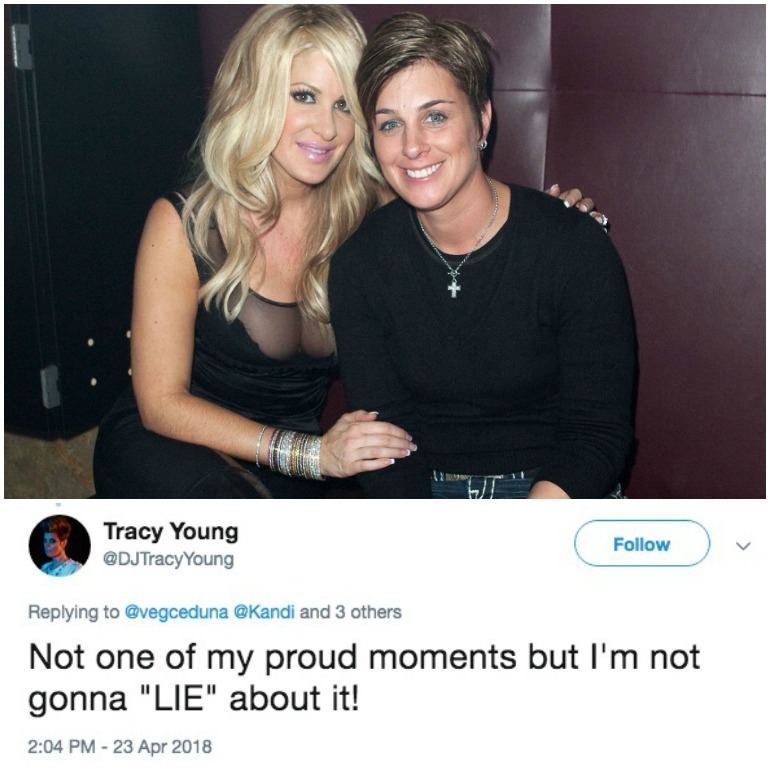 In 2010, reality star Kim Zolciak-Biermann announced she was a relationship with DJ Tracy Young and that she was interested in both men and women. That relationship didn’t last too long, since Kim met her now husband later that year, and it might have meant more to Tracy than to the Real Housewives of Atlanta star. After Zolciak denied their relationship the DJ tweeted she was appalled that she would deny what they had, saying that she was being offensive to those who are attracted to the same gender. None of Ariana Grande’s relationships have caught as much attention as her fling with Pete Davidson. 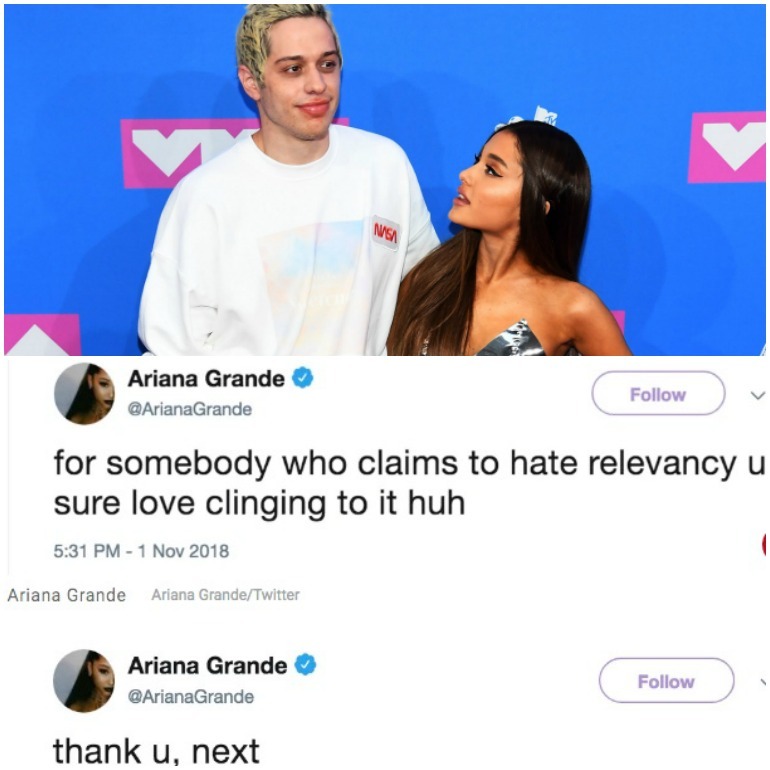 When the SNL actor chose to joke about their failed engagement in one of his sketches, Ari took to Twitter to basically tell him she thought that was lame. She claimed that he used to be someone who hates relevance, but he was using their breakup to claim to it. She followed up with a tweet that said “Thank u, next” and two days later her song with that title became an instant hit.